Sometimes our customers just outgrow their home and garage. 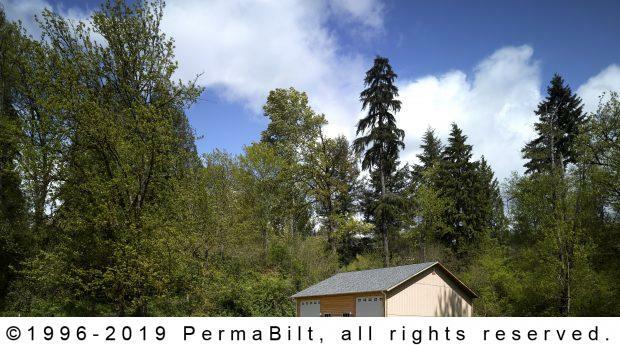 Our Maple Valley Washington customers, having acquired more cars and household items than their current garage could hold, needed a new two car steel garage with plenty of storage. 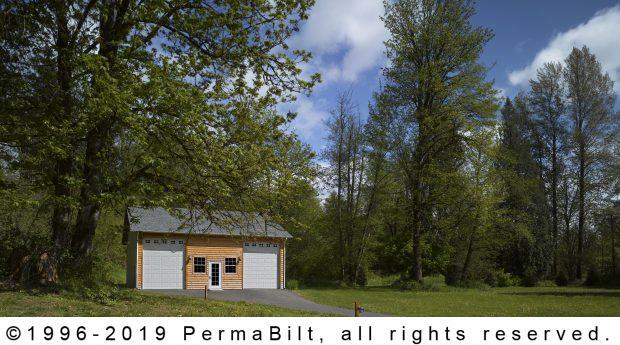 Additionally, they wanted their new steel garage to visually match their current one. 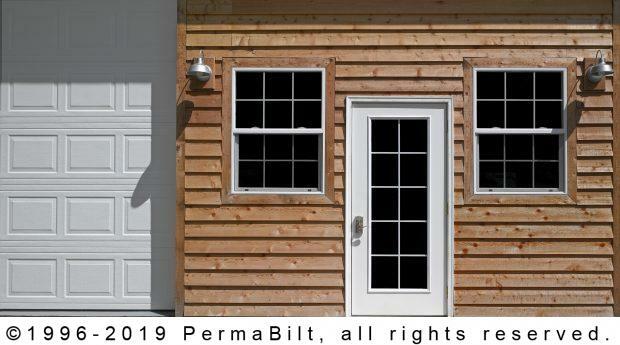 This included cedar siding and cross hatch windows to match their house windows.Additionally, they wanted garage doors with Stockton lights to bring in some natural light The decorative lights added a touch of character and functionality that many of our customers like. 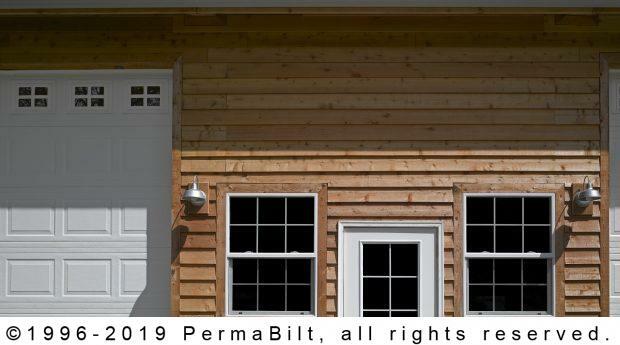 As they talked with their PermaBilt® Building Representative they chose other elements for their garage. For instance, for ventilation they had the option of 10’ continuous ride vents, cupolas or gable vents which they chose. Gable vents come in a wide array of shapes and sizes (e.g. square, circle, rectangle, octagon, etc.) 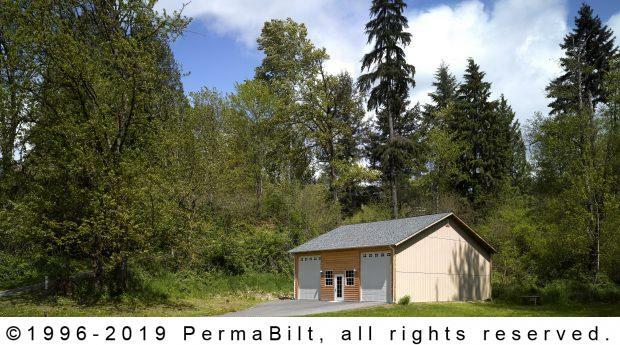 to personalize the look of their new freestanding garage and storage building. And to keep their building protected from the elements chose to put in rain gutters and downspouts. When the garage was complete, our customers were very pleased as their new garage completely matched their home.